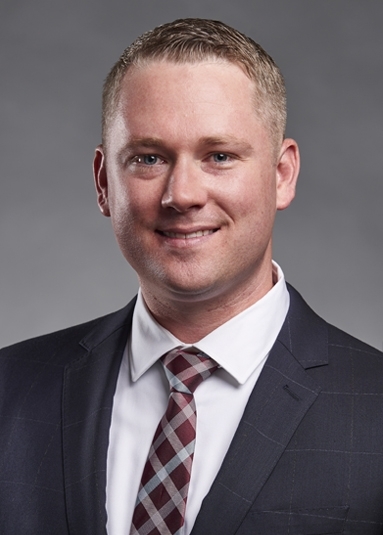 Brandon concentrates his practice defending a variety of civil litigation matters; including wrongful death, catastrophic personal injury, premises liability, product liability, construction liability and various insurance defense cases. Brandon also specializes in dram shop litigation representing restaurants, bars & taverns and hotels & hospitality clients in liquor liability actions. He also has substantial experience representing Indiana governmental entities and municipalities as well as Hoosier farmers and agricultural operations in both the defense of lawsuits and administrative proceedings. Brandon is admitted to practice in the State of Indiana and the United States District Courts for the Northern and Southern Districts of Indiana. Brandon earned his B.A. from Wabash College in 2007 majoring in History and his J.D. from Michigan State University College of Law in 2010. Prior to joining Lewis Wagner, Brandon worked for the Michigan Department of the Attorney General in 2008. Lewis Wagner, LLP in Indianapolis, Indiana, successfully defended an insurance company client in an underinsured motorist jury trial in Hamilton County, Indiana. The lawsuit arose from an automobile accident that occurred in Florida in March of 2010. The plaintiffs alleged physical injuries resulting in damages, including medical bills, lost wages, pain and suffering, and loss of enjoyment of life. The parties stipulated to the fault of the underlying tortfeasor for negligently causing the accident. The wrongdoer’s insurance carrier paid its policy limits of $100,000 and then, approximately one month prior to trial, the underlying UIM carrier settled out of the case for its policy limits of $400,000. Plaintiffs were seeking the remaining allowable limits of $500,000 from their own UIM carrier as occupants of the owner’s car. Mr. Hays and Mr. Ehrie defended the case solely with regard to damages. Plaintiff was claiming approximately $205,000 in medical bills and produced expert testimony from a vocational economics expert who opined that the plaintiff’s loss of earning capacity was in the range of $224,264 to $315,534 and her loss of usual and customary household services was in the range of $91,652 to $366,607. Plaintiff’s husband brought a claim for loss of consortium. Plaintiffs requested $1.45 Million in final argument. The jury returned a verdict of $420,451.03 for both plaintiffs, which resulted in a zero dollar payout on behalf of the UIM insurance company client. Johnson v. Poindexter Transp., Inc., 2013 WL 4829315; Ind. Ct. App. 2013 (dismissal based on dual employment affirmed on appeal). "Critical Analysis of Examinations of Plaintiff Alex Billings," Enhancing Your Trial Skills: Billings v. Pearson - A Case of Alleged Cyber-Bullying, DRI Trial Tactics, Las Vegas, NV, March 15 - 17, 2017. Brandon Ehrie admitted to the Indianapolis Bar Association’s Bar Leaders Series, Class XIV, 2016-2017.